Zilingo Pte’s path to becoming a fashion platform with a valuation approaching US$1 billion began in December 2014 when Ankiti Bose, then an analyst at Sequoia India, chatted with a neighbour at a house party in the Indian tech capital Bengaluru. Bose, then 23, and Dhruv Kapoor, a 24-year-old software engineer at gaming studio Kiwi Inc., quickly realized they had complementary skills and similar ambitions to build their own startup. Four months later they had quit their jobs, and each had put in their US$30,000 in savings to found Zilingo, an online platform that allows small merchants in Southeast Asia to build scale. On Tuesday, the Singapore-based company said it raised US$226 million from investors including Sequoia Capital and Temasek Holdings Pte. The latest financing valued Zilingo at US$970 million, according to people familiar with the matter, who asked not to be named because the information is private. 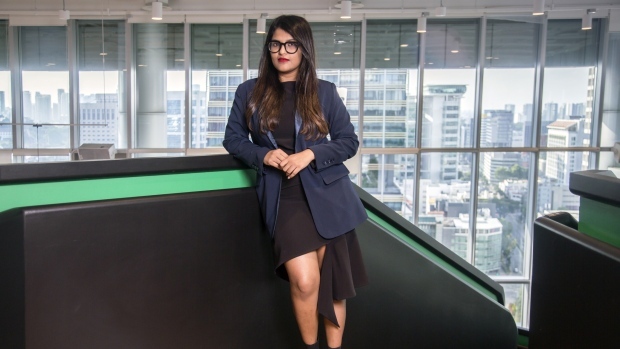 That makes 27-year-old Bose among the youngest female chief executives to lead a startup of the size in Asia. Female founders remain rare in the global startup world. Of the 239 venture capital-backed startups around the world worth at least US$1 billion, only 23 have a female founder, according to data from Pitchbook in May last year. Bose is now part of a group of founders in Southeast Asia who are capitalizing on the region’s rapid adoption of smartphones and rising incomes. Online shopping in the region reached US$23 billion in 2018, according to a report by Google and Temasek. It’s expected to exceed US$100 billion by 2025. Zilingo posted revenue of S$1.8 million (US$1.3 million) in the year ended on March 31, 2017, up from about S$434,000 since its inception though March 2016, according to the company’s most recent filing with Singapore regulators. Revenue grew 12 times in the year ended March 2018 and fourfold in the April to January period, according to the company. Kapoor holds the title of chief technology officer.